If you want to take your business online so that you can sell directly to your customers through a website, then you will need a professional ecommerce website. An ecommerce website provides the platform for entering a fast-growing and lucrative channel that has the potential to take your business to the next level. If you are interested in finding out more about ecommerce websites or the process involved with creating one then keep reading. If you are interested in comparing ecommerce design quotes then scroll up and complete the form at the top of this page. Approved Index can help find the design agency best suited to your needs. 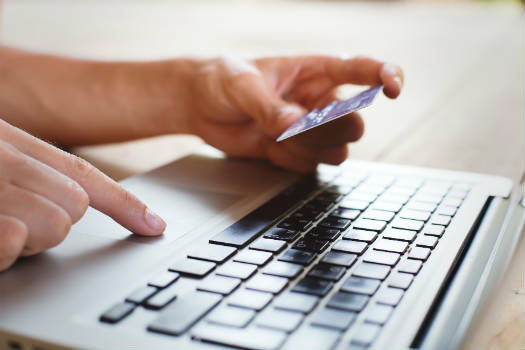 Online commerce - or ecommerce, as it is more commonly known - is an increasingly common platform which has opened up a world of opportunities for both businesses and consumers in recent years. The use of ecommerce not only allows your brand to be exposed to millions of potential new customers, but it also gives those consumers the chance to find the best, most suitable businesses for their needs. Ecommerce websites allow even niche companies a chance to find customers and make money. In the last year alone, internet sales have doubled - the market is clearly rising, and now is the perfect time to make your mark on the ecommerce world. Ecommerce website design is not entirely different from regular website design, although there are some differences that separate the two. As you might expect, there are also some agencies that specialise and prefer to work in a specific area of web design. If you want to set up a business that can potentially reach a huge number of customers, then ecommerce is the best market to move into. Huge numbers of people have found financial success by launching online stores. Indeed, for many companies, the cost of an ecommerce website is easily balanced out by the profits brought in from it. What Does an Ecommerce Web Design Company Provide? Ecommerce website designers can provide you with a reliable, easy-to-use and visually attractive website that will inspire trust in the online shoppers that visit it. They can provide sites for businesses of all sizes - from a simple off-the-shelf ecommerce website design solution, to a custom-built online marketplace capable of handling huge volumes of transactions. Some ecommerce website design companies will also offer training, so that you know how to get the most out of your site and software. It is vitally important that your website is easy to navigate. No matter how much someone wants to buy something, if they arrive at a website that they cannot navigate it, they’ll leave. Consumers know that there will be a range of other sites that they can visit to find what they are looking for. The pages and content on your site should flow easily so that the user journey is easy to follow from page to page. Ideally, there will also be a search function included on the site, which can be used by those visitors who are looking for a specific item. Good commercial website design will also incorporate things like keyword research and search engine optimisation (SEO). Inclusion of these elements in the design process will mean that your site will not only be visually appealing and functional, but it was also be created in a way that makes search engines want to rank it, and searchers want to visit it. An ecommerce website can provide a business with various benefits. Some of these benefits may be specific to certain industries, but the majority can be enjoyed by a huge range of companies in various sectors. Access. A high street store has a relatively small audience. Its reach is limited to the number of people that visit that high street. The shop may use direct mail marketing, for example, but even in this they will rely on people making the decision to travel to the shop. An ecommerce store removes some of this limit, and allows a business easier access to their customers. Usability. If you rely on your website for revenue, then design is essential. An ugly or badly designed website will perform worse than a functional, attractive one. Expert ecommerce web design is an excellent way to ensure that your site performs as well as it can do. Stock. A huge number of stores are limited by their ability to hold stock. This is especially the case with independent and high street stores. An ecommerce website can help to alleviate this issue. Cost. Although there are certain ecommerce website design costs to stay aware of, it is worth remembering that there are savings too. In a traditional store, hands-on staff are needed to make sales, an automated ecommerce system removes the need for these expenses. The benefits of ecommerce are varied, and they exist for both business owners and consumers. The continued rise of ecommerce is testament to its quality, and as time moves forward it is clear that even more of the retail world will have moved itself online. If you’re looking to create an online store, then our ideas for ecommerce web design or building an ecommerce website pages could be helpful. Approved Index works with reputable ecommerce website designers so that we can offer you the best deals and prices. The companies we work with have been vetted thoroughly, and we guarantee that the quotes you receive will be genuine and of the highest standard. Just fill in the form at the top of this page and you will receive quotes from top UK ecommerce website designers. Our service is free and there’s no obligation to purchase. Save by Comparing Ecommerce Website Design Quotes. Compare leading Ecommerce providers with Approved Index.